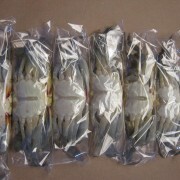 48 individually cleaned and wrapped jumbo soft shell crabs. 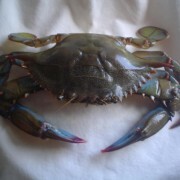 Each crab measures over 5 inches up to 5 1/2 inches point to point. 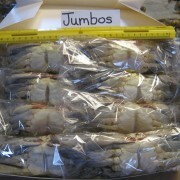 48 Crabs: These measure just over 5 inches to 5 1/2 inches across the top of the crab point to point. 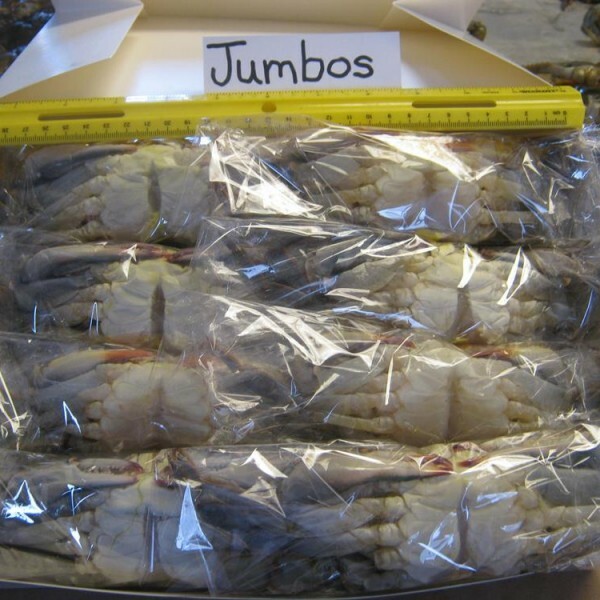 Each crab has been cleaned, wrapped, and frozen. 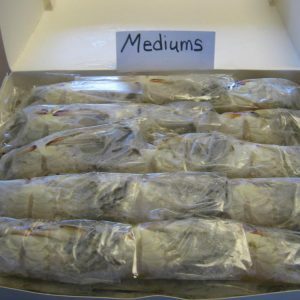 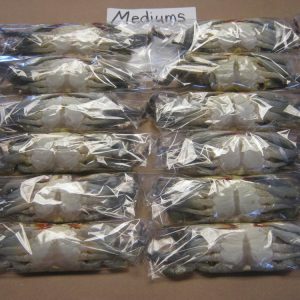 1 Dozen Medium Soft Shell..
5 Dozen Medium Soft Shell..